Looking for something fun to do on New Year’s Eve? You can take the kids for a balloon drop, arcade games, jumping fun, fireworks and more! Ring in 2019 in style with your little ones in tow at one of these many family-friendly celebrations! Dec. 31, 3 – 10:30 p.m.
Ring in the New Year with a free, fun and family-friendly celebration at Vic Mathias Shores with his year’s event will feature great music on 2 stages from 15 local and regional bands including Superfónicos and Los Coast. The New Year’s Eve event, hosted by the City of Austin, kicks off at 3 p.m. culminating with a fireworks extravaganza at 10 p.m. The kids team has chosen their favorite books of 2018 — hear which ones made the cut! Make New Year resolutions, enjoy yummy snacks, take a chance at winning some awesome goodies and celebrating another great year with BookKids! Free. Dec. 31, balloon drops at 11 a.m. & 3 p.m.
Head to Thinkery for the third annual Noon Year’s Eve Balloon Drop & Bubble Wrap Stomp! They’ll be hosting two different celebration times to ring in the New Year; 9am-noon (drop & stomp at 11am) and 1-4pm (drop & stomp at 3pm). 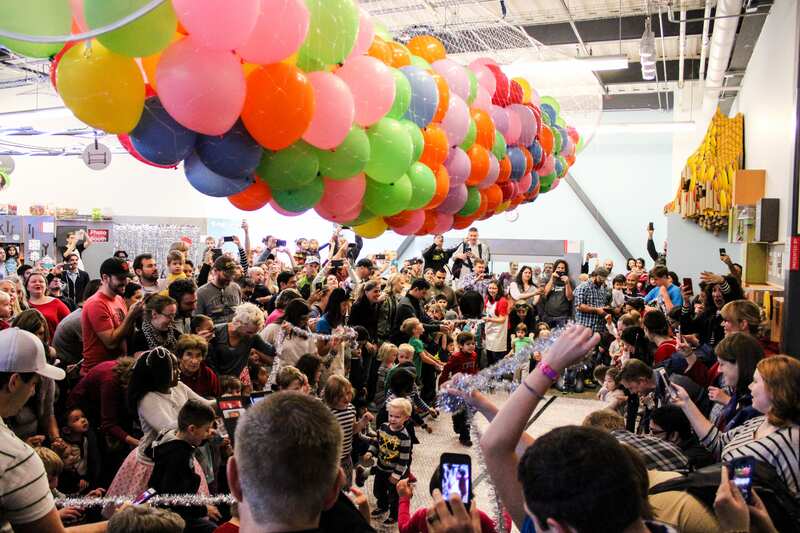 Each limited capacity celebration will include three simultaneous balloon drops and bubble wrap stomps; two downstairs for young revelers of all ages and one upstairs exclusively for toddler revelers. All party-goers can enjoy music, winter crafts, engineer your own noise makers, enter the Texas “snowball” arena, and experience special performances during each 3-hour celebration. Click here for additional details and tickets. Dec. 31, three seating times: 4:30 p.m., 6 p.m. or 7 p.m.
Countdown to 2019 with the family and enjoy bowling, pizza, games face painting and a kid-friendly toast ($89 for the whole family, up to 6 people)! Click here for reservations. Take note that High 5 on Anderson Lane is also hosting a family party from 6-7 p.m. Details here. Dec. 31, 11 a.m. – 2 p.m. There will be a Staci Gray concert, crafts, snacks, games and a toast when the ball drops at NOON with kid-friendly sparkling juice and big-kid-friendly sparkling champagne. $10 per child; adults free. Tickets available online here. Join Dave & Buster’s for a family New Year’s Eve celebration! They offer a few different NYE packages to choose from that combines food and games. Click here for details & to make a reservation. Dec. 31, 10:30 a.m. – 12 p.m.
Bring the littles to celebrate! Dress up fancy, wear a party hat, make a shaker, enjoy a balloon drop at noon. $12 per child at the door. Every hour on the hour you can join the countdown to 2019! Ring in the new year with prizes, games and plenty of silly Monstrous Fun! Click here for golf and laser tag pricing. Dec. 31, 12 – 3 p.m. Enjoy an afternoon of karaoke, dancing, crafting and general kid-friendly merry-making at Barrel O’ Fun! Your $8 ticket includes a party hat, noise maker and an apple juice for the group toast. Festivities take place from 12-3 p.m. with an (early) New Year’s Eve apple juice toast at 2:30 p.m. Everyone is encouraged to wear their party best. We’re excited for 2018! The event does require a ticket, but you may come and go as you’d like. Tickets are available online here. New Year’s Eve Staycations: Think you might want to head just outside of Austin for a fun little New Year’s getaway? Check out these events nearby. Ring in 2018 with a fun family staycation that includes a carnival, fireworks, BBQ, kid-friendly dance party, and more? Guests can book a reservation for a two-night experience packed with festive and exciting activities. Click here to reserve a room. 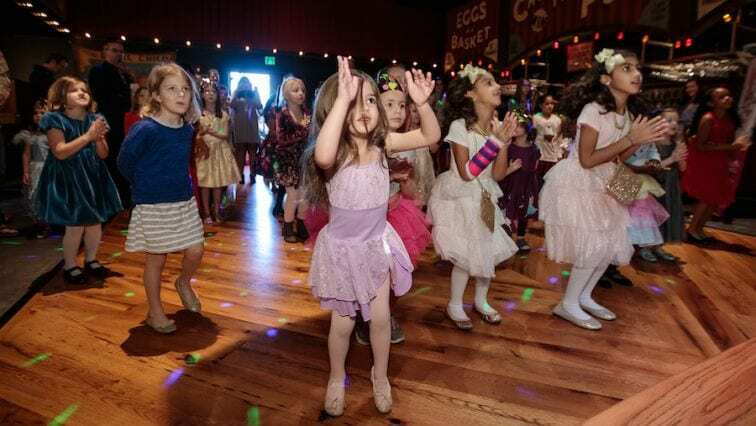 This party for the kiddos features new crafts and activities by the hour including a bird show, karaoke, video games, dancing, s’mores, pizza, glow in the dark shirts and more. $90 per child ages 4-12. Reservations required. More info here. Book a lakeside respite to kick off the New Year with festive celebrations and dining with rates starting at $169. On New Year’s Eve, guests are invited to capture final memories of 2018 in the lobby photo booth, book a reservation for a decadent New Year’s Eve pre-fixe menu in the TR Restaurant ($70 per person) surrounded by views of Lake Travis. The night will conclude in grandeur with a (complimentary) balloon drop in Back Porch Lobby Bar, complete with sparklers and a champagne toast for adults. Click here to read about the resort’s Kid Zone.